While some analysts will doubtless point to Russia's recent involvement in the Syrian conflict as the motivation behind what initially looks like an attack by Islamic extremists in the city of St Petersburg, there are a number of factors elevating Russia's terror risk. Certainly, it is thought thousands of Russian citizens from the heavily Muslim republics of Tatarstan, Chechnya, Ingushetia, Dagestan and others, have traveled to the Middle East to join the so-called Islamic State, but Russia has a long history with radical Islam. Conflict in Chechnya in the 1990s and early 2000s saw a wave of attacks in the Russian heartland - such as the Beslan School massacre and the Nord-Ost Theater attack. But Russia has also contributed heavily to the suppression of radical movements and figures in the Islamic republics of Central Asia. Members of Hizb ut Tahrir the pan-Islamic "Party of Liberation" and other groups are often monitored and arrested in Russia, notably in the Volga region and the authorities have spoken about the danger emanating from radicals in countries such as Kyrgyzstan, Tajikistan and Uzbekistan. If early reports following the St Petersburg bombing are true and the attacker was a Kyrgyz national, there will be a number of potential motivations, which reinforces the fact Russia will continue to be target for further attacks in years to come. There won't be any quick fixes - be they hard or soft - to this type of risk, whatever politicians say. 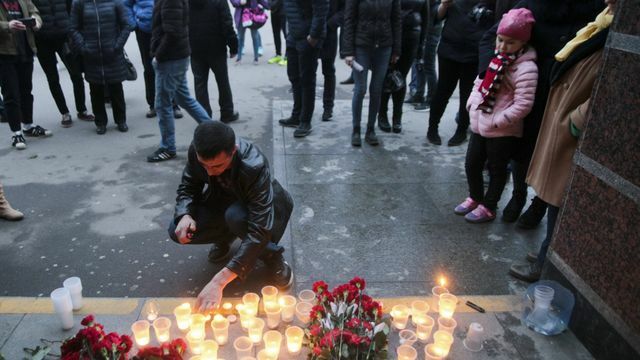 While the restive North Caucasus region has seen several violent attacks in recent years, there have not been any terrorist attacks in Russia’s heartland since a series of deadly bombings in the southern city of Volgograd in December 2013.